Ask more of your marble, than a burden. 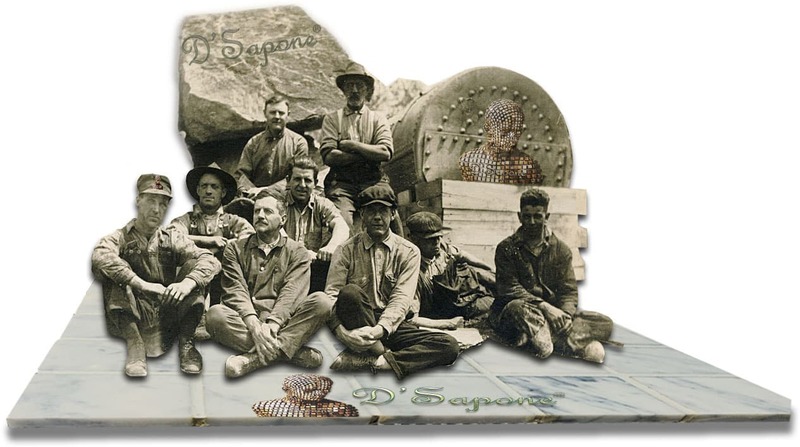 The most passionate artists ever to restore stone are created at D'Sapone®. You will enjoy a fresh new looking marble surface for your lifetime, once our patented marble restoration meets your showers, floors and countertops. We pay attention to every detail offering that look to the stone you strive for. Before our Tulsa artists polish your marble, they will perform some quality restorations that start from cleaning and prepping the stone. Your marble deserves the perfect sheen, relying on a fresh clean surface. After marble cleaning, sealing is the key keeping the look and durability of the stone. We apply a clear resin topical solvent sealer – Celine to marble creating a hydrophobic surface with a slight sheen. It stops future staining and etching issues. Notice in the image shown to the left, the top stone is sealed with Celine and is not absorbing the acid that causes etching. However, the bottom stone is unsealed and is retaining the liquid. Our quality polishing service also eliminates further etching. Polishing marble. Achieving that look you strive for. Once we seal your marble, it will be safe from future etching issue. Now, our Tulsa artists will perform marble polishing bringing that mirror lush finish to the surface, which once glistened across your stone. Our patented polishing service doesn’t only deliver a sheen to the stone, but also keeps its durability and look for a lifetime. Bringing a mirror lush finish. 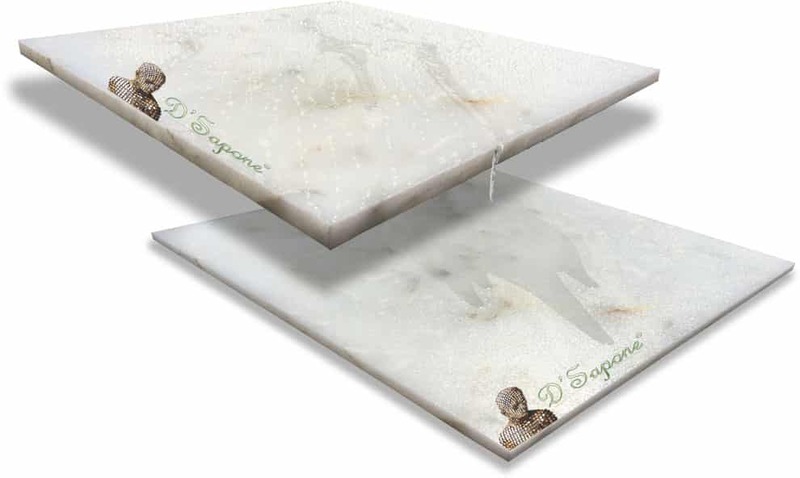 Traditional marble polishing process only delivers a sheen to the stone that will etch again, when an acidic cleaner is used or any drinks comprising of acid spilled on the floor. 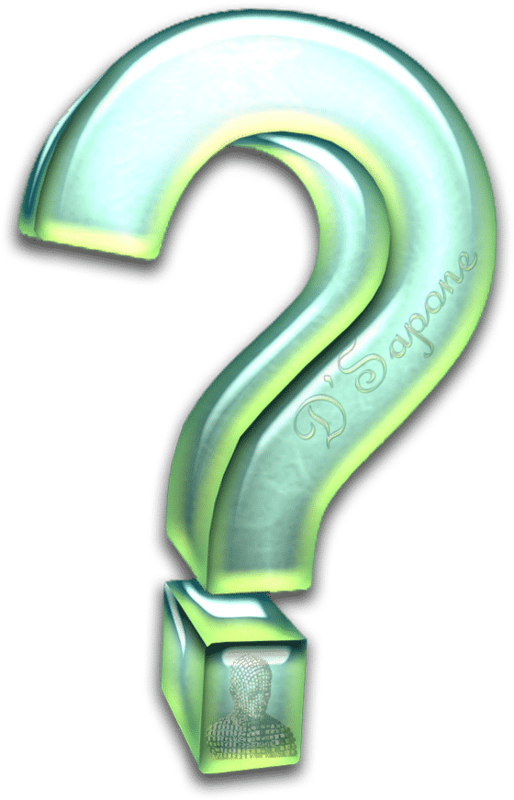 Only D'Sapone® eliminates this issue permanently with Celine, creating a hydrophobic surface while adding a refined elegance. 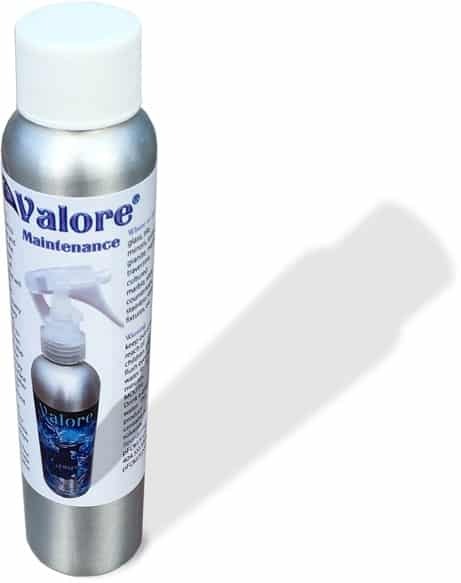 Maintain your polished marble with Valore, which will not only keep your stone sanitized, but it will also add a coating protection and extend the product warranty up to 10 years. Just apply it once a week and enjoy a stain free marble surface for a lifetime. 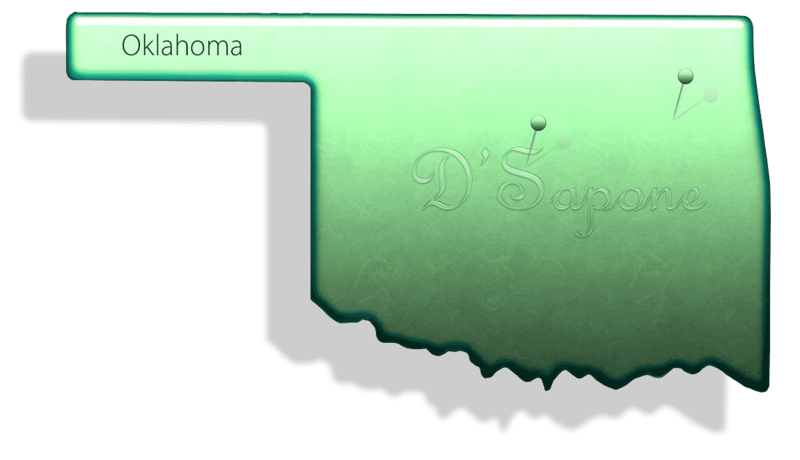 Now there is entirely new way to receive a very detailed free estimate in Tulsa. Simply fill out our estimate form or call us, and an artist will be assigned to develop a very detailed estimate just for you. 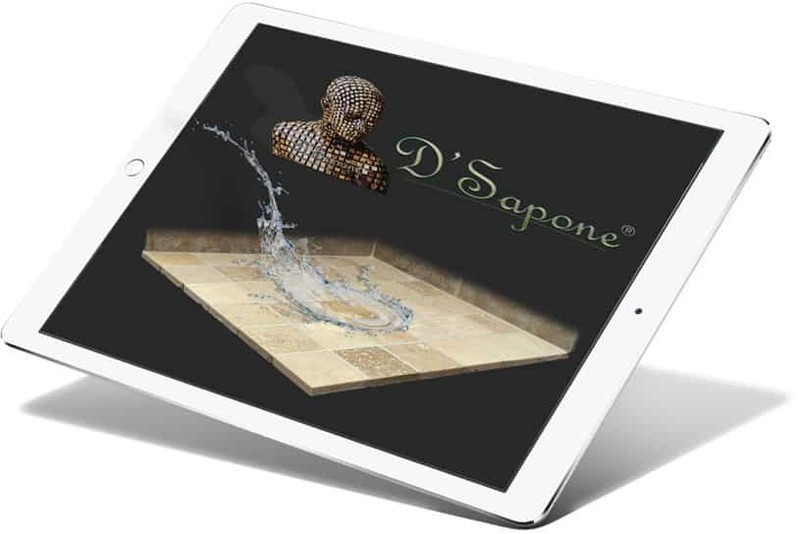 D'Sapone®’s patented marble polishing process is state of the art and no other company can achieve the results.